They're intelligent, social, have keen natural sonar, and are easy to train. All admirable qualities in dolphins, but ones which are also their downfall. 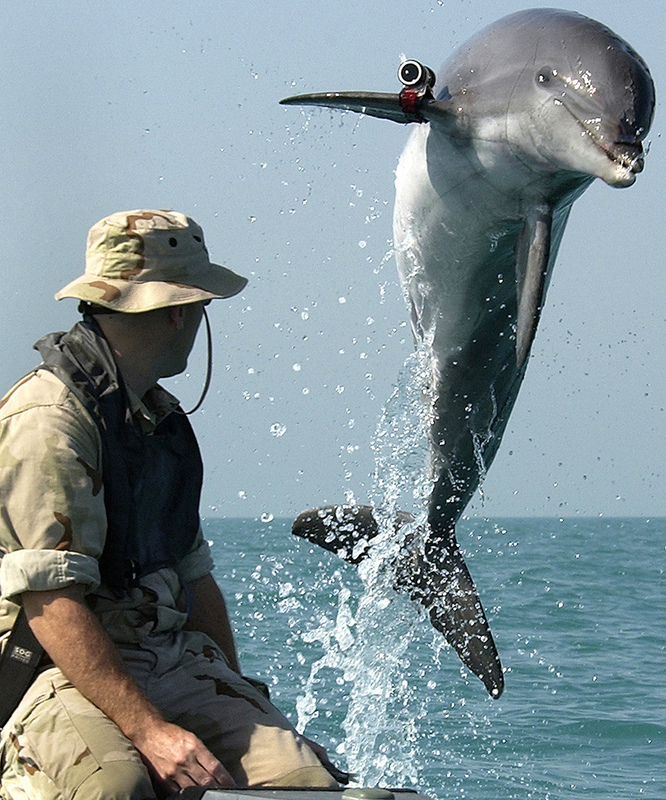 For many years now, these characteristics have lead dolphins to be employed by the US Navy as living mine detectors. Trained under the 'US Navy and Marine Mammal Program', at least 75 dolphins are currently being prepared for duty. Dolphins 'served' during both Gulf Wars and may be on their way to the Persian Gulf again, should the current situation in the region escalate.